According to a report released by the National Association of Manufacturers, the manufacturing industry in the state of Missouri is thriving. 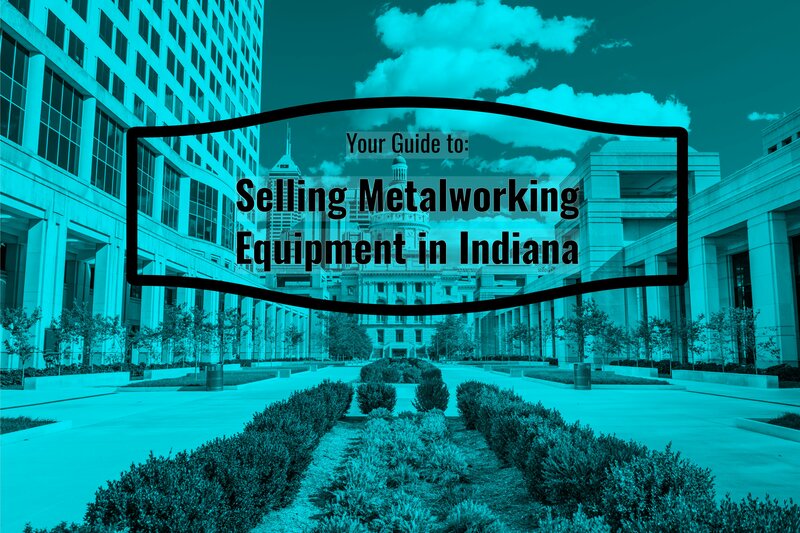 This healthy manufacturing industry provides plenty of opportunity for companies attempting to both buy and sell used metalworking equipment in the Show-Me State. 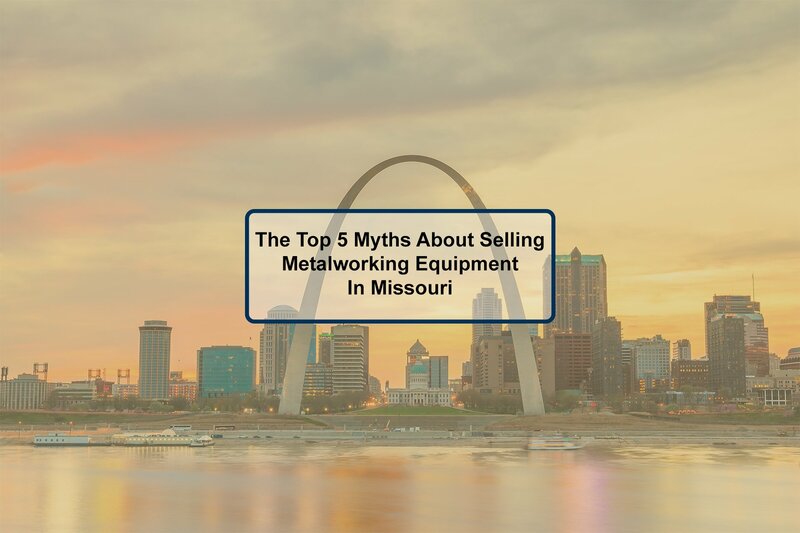 Nevertheless, there are still several myths surrounding the metalworking and manufacturing industries in Missouri. 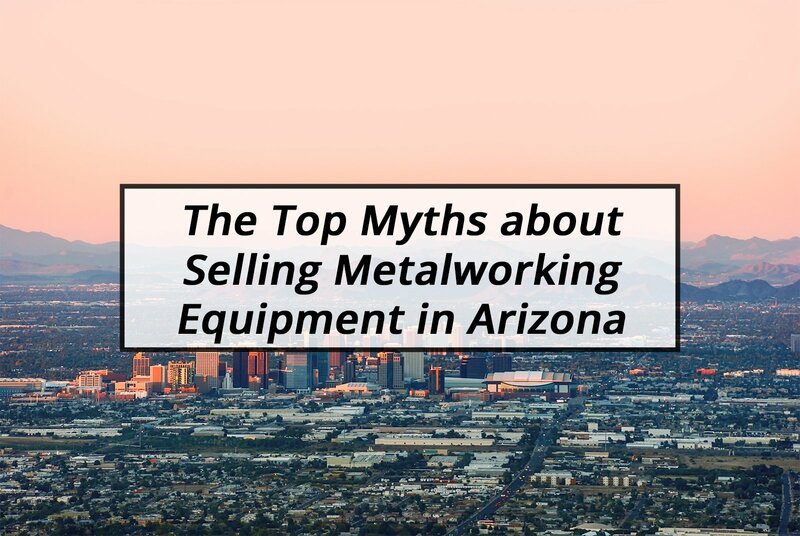 Below, we'll look at five of these myths and why you shouldn't let them deter you from selling your surplus metalworking equipment. Many people wrongly assume that Missouri does not have the manufacturing industry necessary to support a market for selling used metalworking equipment. The truth is, though, that the manufacturing industry in Missouri is alive and well. In 2017, manufacturing accounted for 13.2% of the state's total output, and 9.2% of people employed in Missouri work within the manufacturing industry. What's more is the fact that four exports out of Missouri's top ten exports in 2017 were metal products that require metalworking equipment to manufacture. These exports include aircraft engines and parts, motorcycles, bombs and mines, and small gas-powered trucks, which was Missouri's number one export in 2017. Given how many metal products are manufactured in Missouri, it is safe to say that there is certainly a healthy market for metalworking equipment in the state. If you are concerned that you will have a difficult time selling your metalworking equipment to manufacturers in Missouri, a closer look at the state of the manufacturing industry in Missouri should go a long way toward alleviating those concerns. Missouri may not be the first state that comes to mind when you think of manufacturing hotspots in the United States, but the truth is that the state of Missouri provides several incentives to metalworking businesses looking for a new place to set up shop. For starters, the cost of labor in Missouri is quite low when compared to the national average. Due largely to the state's low cost of living, metalworking companies in Missouri can pay lower labor costs while still attracting talented employees. This low cost of labor alone is an advantage to encourage many metalworking companies to choose Missouri for their base of operation. However, it isn't the only advantage that the state offers to metalworking businesses. In order to grow the state's manufacturing industry, the Missouri Department of Revenue began issuing sales tax exemptions to manufacturing companies within a wide range of industries - including machinery and equipment manufacturing. This means that many metalworking businesses in the state of Missouri can purchase supplies and equipment without having to pay any sales tax on the purchase. Lastly, Missouri offers a few other incentives to manufacturers in the state, including the Bring Jobs Home Act which allows companies that are relocating to Missouri to deduct up to 50% of their relocation expenses, a number of loans and grants, training programs for manufacturing employees, and more. Whether a metalworking business is already located in Missouri or they are looking to move their operation to the state, there are certainly plenty of advantages associated with running a metalworking business in the Show-Me State. The manufacturing industry in Missouri is thriving. 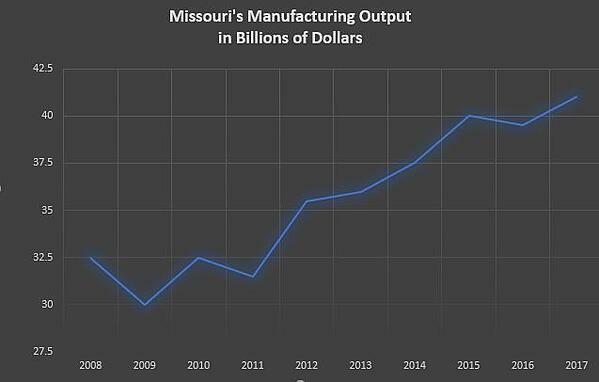 In fact according to National Association of Manufacturers from 2008 to 2017 Missouri's manufacturing output when from 32 billion dollars to over 40 billion and it is not showing any signs of slowing down. 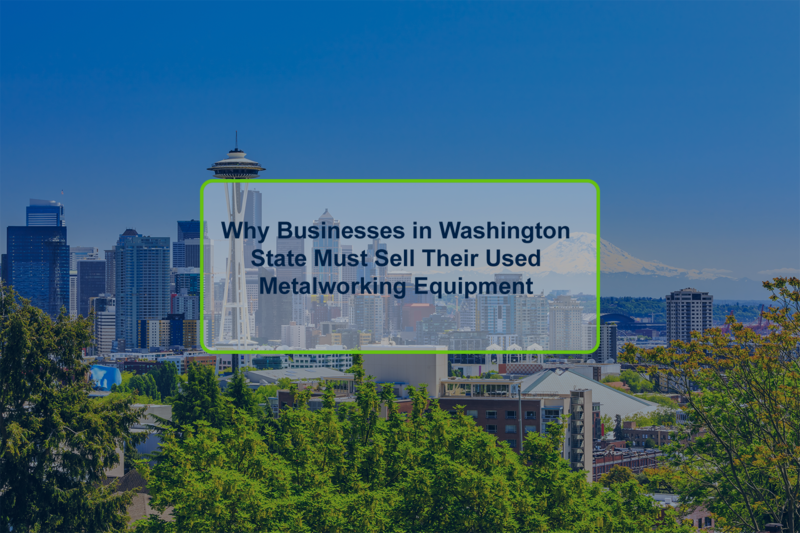 This shows that there are certainly plenty of companies in the state looking to purchase the metalworking equipment they need to produce their products and continue to increase the state's manufacturing output. What about used metalworking equipment, though? Are there companies in Missouri looking to purchase used metalworking equipment from another company as opposed to purchasing the equipment new from the manufacturer? It turns out that the answer to this question is a resounding yes. 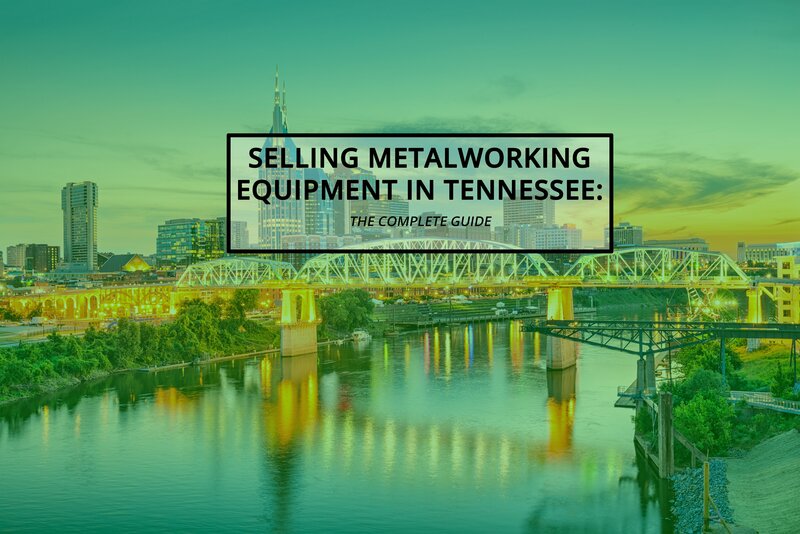 Purchasing used metalworking equipment is obviously more affordable than purchasing the equipment brand new, and many companies in Missouri are more than happy to take the discount. With the annual average compensation for manufacturing employees being around $68,000, these metalworking and manufacturing companies are looking for cheaper alternatives and cost cutting measures in their businesses. This means that selling used metalworking equipment is suddenly much more attractive for multiple reasons. This means business are more likely to both sell and buy this equipment. Wherever the metalworking industry is thriving, there is going to be a market for used metalworking equipment. While it's true that many companies would prefer to purchase brand new equipment, many other companies are more than willing to purchase used metalworking equipment if it means lowering their upfront costs. So long as the metalworking industry continues to thrive in Missouri, companies in the state will have no problem selling their used metalworking equipment for a fair price. There was a time not too long ago when selling used metalworking equipment was a difficult task. In order to sell their equipment, companies were forced to hire a third-party service that would market their equipment, find a buyer, and handle the transaction. Of course, these services were not cheap, leaving little profit left over for the company that was selling the equipment. That's assuming the equipment did, in fact, end up being sold; if the equipment did not find a buyer, the company selling it would often end up having to pay for the service without seeing any profits in return. Today, however, the internet has revolutionized the way that metalworking companies buy and sell used equipment. Online auction sites such as Aucto enable companies to quickly and easily list their metalworking equipment for sale online where it is exposed to buyers all over the state and country. Once the equipment is listed, other companies can submit online bids, with the equipment going to the highest bidder. All the tasks that once had to be handled by a third-party manager are now handled automatically online, including marketing the equipment to prospective buyers, handling the bidding process, overseeing the transaction, and more. This means that, today, companies in Missouri can find buyers for their used metalworking equipment without having to shell out a ton of cash up front. It's a system that is much friendlier to both buyers and sellers alike and one that has given new life to the used metalworking equipment market. In terms of both hassle and expense, Aucto has made selling used metalworking equipment in Missouri easier than it has ever been before. If you want to sell your metalworking equipment without taking on any upfront costs, listing your equipment on Aucto is an excellent option to consider. Having grown used to paying high fees in order to sell their used equipment, many people assume that all online auction sites have high seller fees as well. While the fees on some sites are certainly higher than others, you may be surprised to learn just how affordable it is to list and sell used metalworking equipment online. In fact, at Aucto, we make it completely free for companies to both list and sell their equipment on our platform. Unlike most online auction sites, Aucto does not charge any fees to list a piece of equipment for sale and does not take any commissions once the item has been sold. If you are looking for the best way to go about selling metalworking equipment in Missouri, we at Aucto want to help. Our platform is designed to help companies just like yours easily liquidate their unneeded equipment for the highest price the market is willing to pay. Like this article? Check out some of our recent articles: Equipment Disposition Options – A Guide For Industrial Businesses, Auction Marketing Strategies, and How To Sell Your Surplus MRO & Spare Parts to learn more.